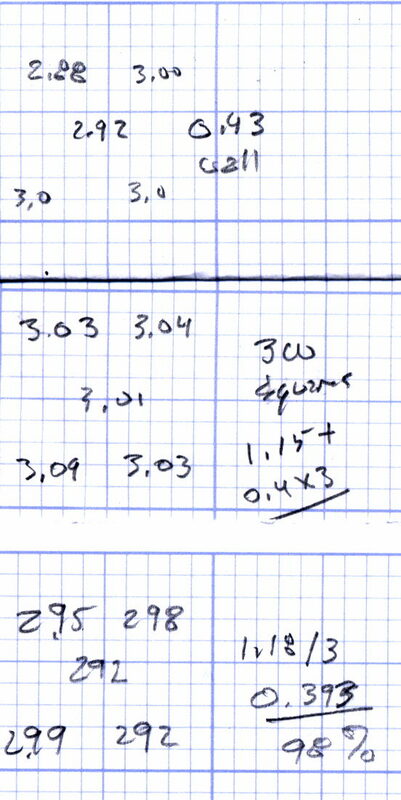 As part of setting the Makergear M2 up after The Great Cleanout, I ran off a set of thinwall calibration squares that showed the left rear corner was high by 0.12 mm: the square in that corner measured 2.88 mm, rather than the intended 3.0 mm. 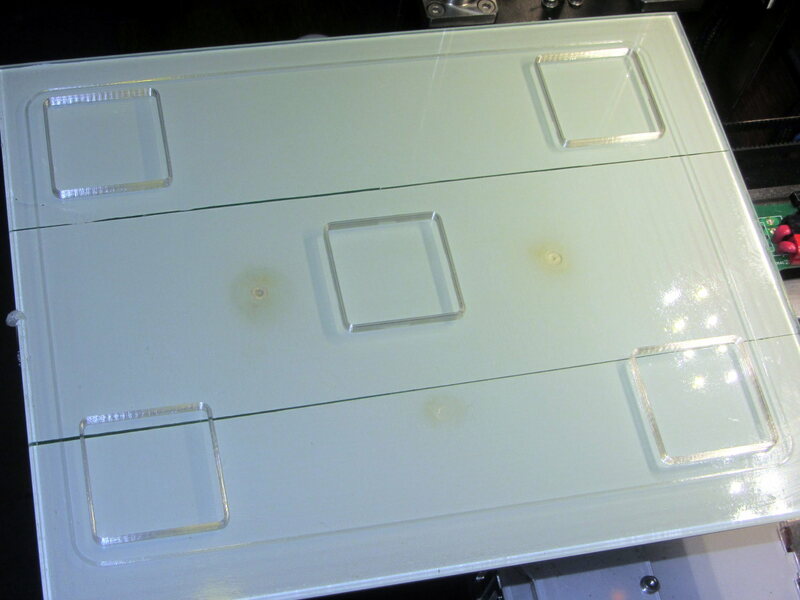 The walls were 0.43 mm, about 10% above the nominal 0.40 mm. That’s similar in both absolute values and alignment to the measurements from two months back. 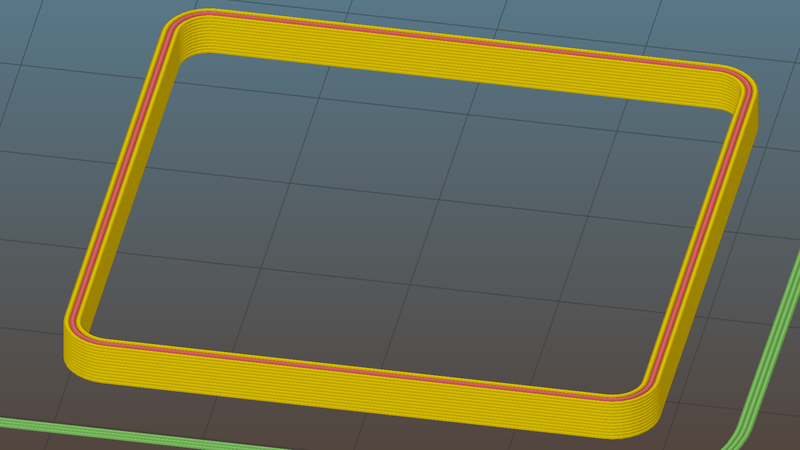 I tightened the rear platform screw by a bit under 1/12 turn, less than half a flat on the hex nut, and dialed the Extrusion Multiplier back by 10%. The next set of squares, set up for walls made of three parallel threads, came out with heights within 0.08 mm of each other and 1.15 mm thick (rather than the nominal 1.20 mm). Letting it sit for a few days and running the same G-Code produced heights within 0.07 mm and wall thickness at 1.18, which I defined to be Good Enough. The slicing algorithms may be smart enough to make all the tricks I’ve learned completely obsolete; that’s fine with me!